The ABT-6H ultrasonic heat meter is our innovation products utilizing advanced transit-time ultrasonic flow measurement technology. Thus, there is no moving part in the sensor, which can ensure the measurement is wear-free and stable over a very long time period. With its maximum 95 °C operating temperature and nominal pressure of 1.6MPa, the technical specifications meet the standard for residential meters. Unlike mechanical water meters,the ultrasonic water meter has an outstanding long-term stablity. There is no moving parts in its sensor, so its performance doesn’t degrade over time,its overall system accuracy doesn’t also degrade over time. The designation of this compact meter fits in even the smallest installation conditions and can be mounted separately from the electronics console. The meter also support remote read-out (M-bus or pulse output).When equipped with M-Bus module, as more as 500 heat meters can be networked through a two-wire bus to a central location for integrated resources management. 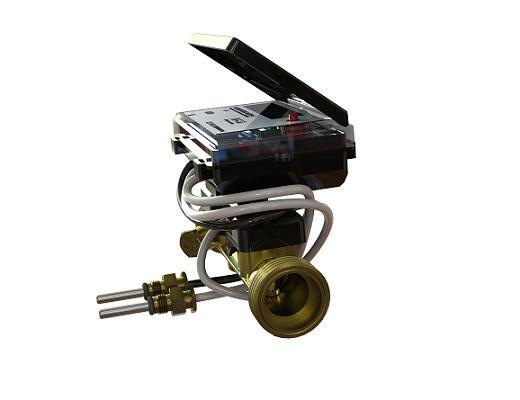 The ABT-6H BTU not only offers the most advanced ultrasonic flow measurement technology, it is also very cost-effective. This means both commercial and residential installations can profit from the advantages of wear-free heat measurement: precision, operating security and long service life.